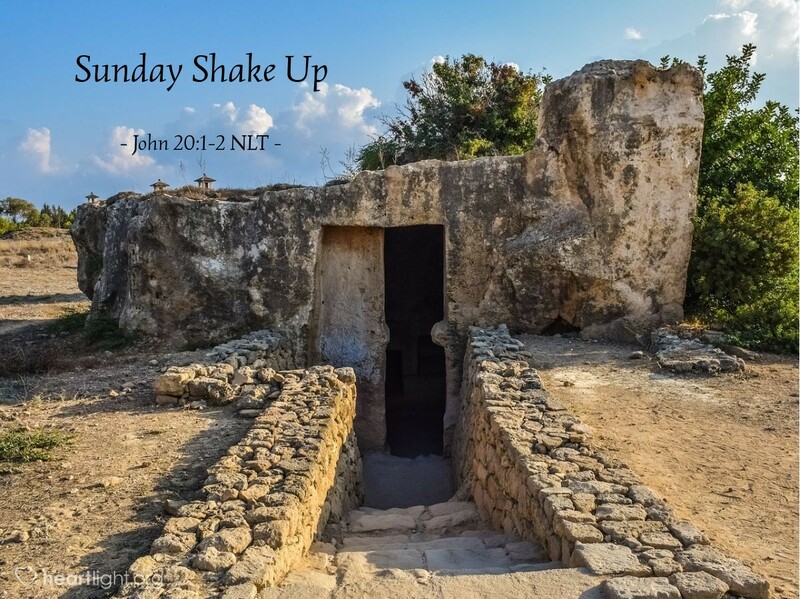 Early on Sunday morning, while it was still dark, Mary Magdalene came to [Jesus'] tomb and found that the stone had been rolled away from the entrance. She ran and found Simon Peter and the other disciple, the one whom Jesus loved. She said, "They have taken the Lord's body out of the tomb, and we don't know where they have put him!" Ever have one of those Sunday's when you didn't feel like doing the "church thing" or facing the challenges of getting everyone ready and pointed in the right direction? Most of us have! In fact, some of my hardest mornings have come on Sundays! That was true of Jesus' earliest and most faithful disciples, too. They came on Sunday morning to do a very hard and loving thing for their Lord; they came to anoint his body with spices. There are no words to describe how hard this must have been for them — their spirits crushed and their dreams dashed by the death of Jesus. Yet like many of us and our bad-start Sundays, God would turn their hard morning into something precious and joyful. Yes, this Sunday in today's verses started with horror and hopelessness, yet we know how it ended! So on your bad-start Sunday mornings, remember Mary, Peter, and John (the disciple whom Jesus loved) and their bad Sunday that turned into a day no believer will ever forget! Father, thank you for the hard times. I confess that I don't like them when they are happening, but looking back, I see where you have used those tough times to bring blessing, hope, and triumph from my heartache, sadness, and defeat. Thank you for not only raising Jesus from the dead but also for raising my heart to a place of hope and joy that earthbound sorrow and pain cannot erase. In Jesus' name, and because of Jesus' victory, I pray with joy. Amen.